People ask me all the time how I come up with recipes or ideas for the blog. I am all over the board. Many of the recipes featured here are family favorites that we have been making for years, recipes that have been passed down, inspired by a restaurant dish I devoured, or simply a product of my noggin. 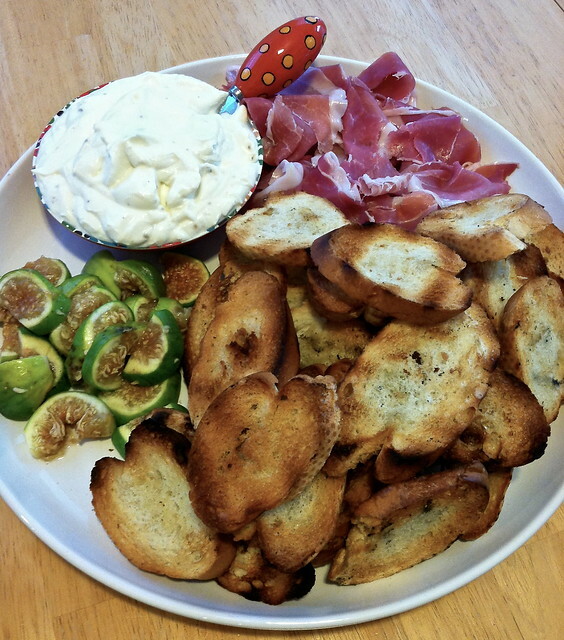 This particular appetizer was inspired by a restaurant dish, but one that I have never tried. I was reading a review for a local restaurant and the writer was raving about a simple appetizer of whipped ricotta, grilled bread and honeycomb. After reading that I was just looking for a reason to make it myself. I have since made it four or five times. It is so simple, rustic, and delicious. Ricotta is whirred in the food processor until completely smooth and then simply seasoned with salt and pepper. 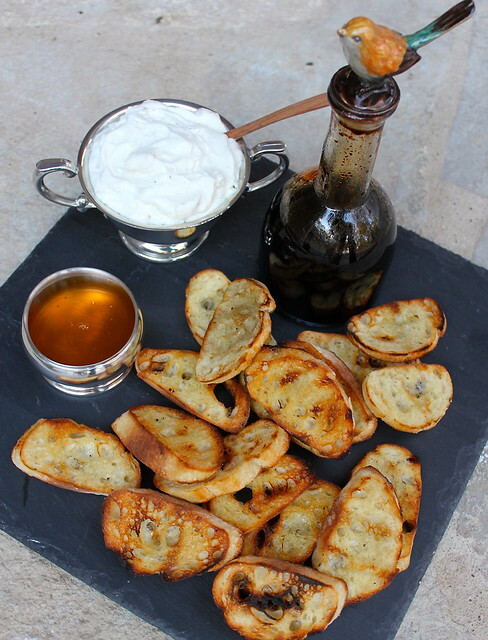 I serve it on a tray loaded with grilled bread, honey, and balsamic vinegar. I let guests make up their own bites based on their personal preference. 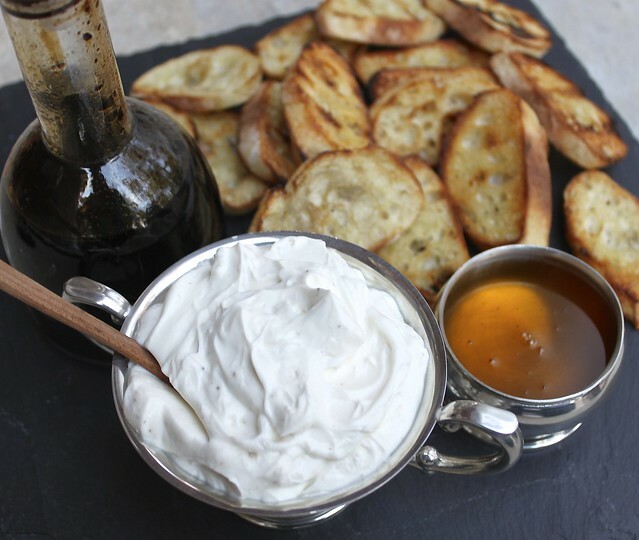 This appetizer is the perfect opportunity to show off that fancy vinegar gathering dust in your pantry. I personally love vanilla fig balsamic. I have raved about that stuff before. It is scrumptious. 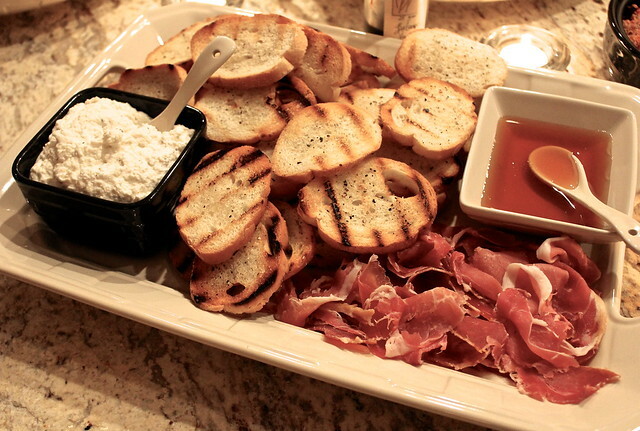 On Thanksgiving I was feeling fancy and also included prosciutto and sliced figs. Why not? Process the ricotta in a food processor until completely smooth, scraping down the sides occasionally. Add salt and pepper, process until combined. Taste for seasoning and adjust if necessary. 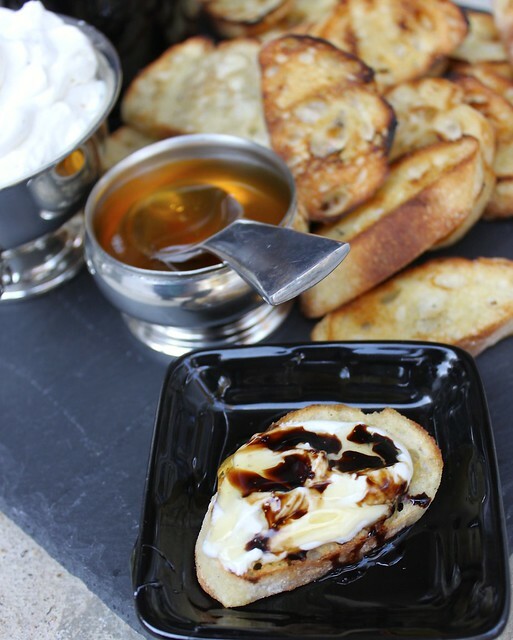 Serve with grilled bread, balsamic vinegar, and honey. *I sliced a baguette or Italian loaf, brushed both sides with olive oil, seasoned with salt and pepper, and grilled until it was toasty and had grill marks on both sides.